Unfortunately the AIMS 2017 Awards were deemed invalid following a dispute relating to the process adopted. The AIMS Board apologies for any inconvenience and is working on reviewing and improving the process to ensure fairness for all. 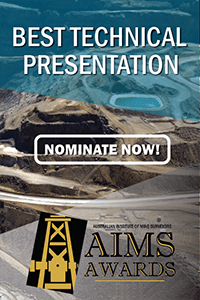 Nominations are now open for the 2018 AIMS Awards - details here. 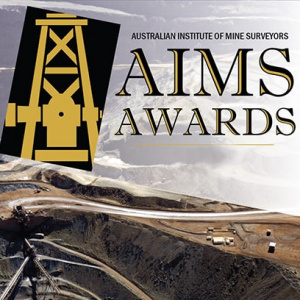 The inaugural AIMS 2016 Awards winners were announced and presented at the annual AIMS Annual Conference Gala dinner during the ISM2016 Congress. 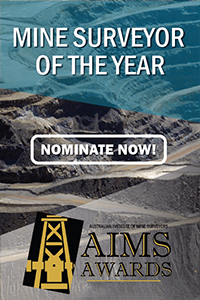 The AIMS Awards are an AIMS Board initiative offering cash prizes each year as well as industry and peer recognition.The awards are judged by representatives of the AIMS Board and presented at the annual AIMS Annual Conference Gala dinner. 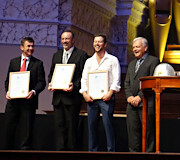 The AIMS Awards winners must be current financial members. Members are able to nominate themselves or other AIMS members. Each recipient receives $500 in prize money and a framed certificate in recognition of their achievement. Membership in AIMS is subject to eligibility rules. A person is NOT eligible to apply to be an AIMS Affiliate Member if that person is eligible for AIMS Full Membership. engaged in full-time study that would lead to a qualification which would entitle the person to Membership of the Institute. This membership level is by invitation only and will need to be approved by the AIMS Board. 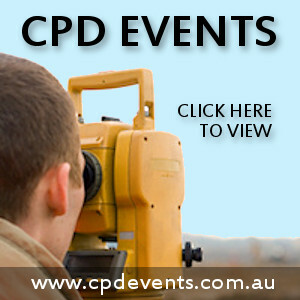 AIMS welcomes the international surveying community and invites them to become Affiliate Members. Relevant documentation must be uploaded to complete an online application. Allowed file types are pdf, doc or docx. New AIMS Members - a CV, proof of Registration and proof of Tertiary Qualifications. Returning AIMS Members - proof of previous membership eg your AIMS Certificate, payment receipt or other proof of past membership. AIMS Affiliate - a CV and (if applicable) proof of Tertiary Qualifications. 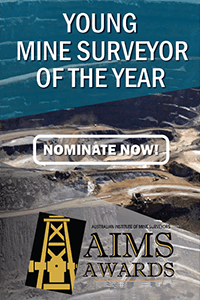 AIMS Retired Member - a CV and (if applicable) a Certificate of Meritorious Service/Emeritus Surveyor. AIMS Student (and all Student renewals) - proof of full-time enrolment in the current year. Full payment is required at the time of application. We accept secure payments using the PayPal system which accepts all major credit cards. Note: A PayPal account is not necessary to make your payment, but having one may make the payment process a little simpler. 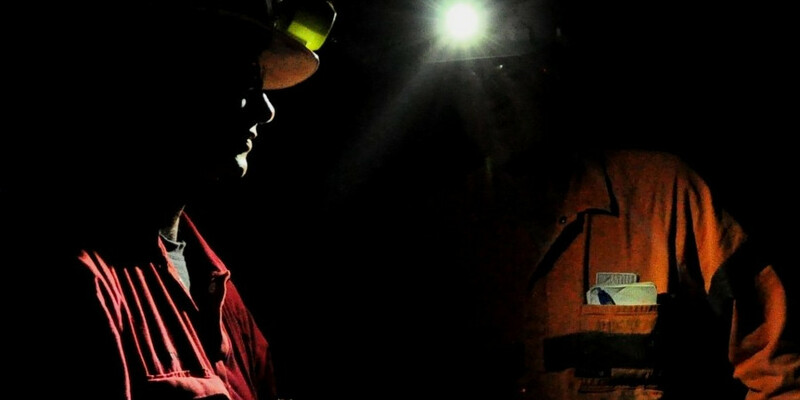 Once your payment is processed you will immediately be given preliminary member status along with immediate member priveleges. 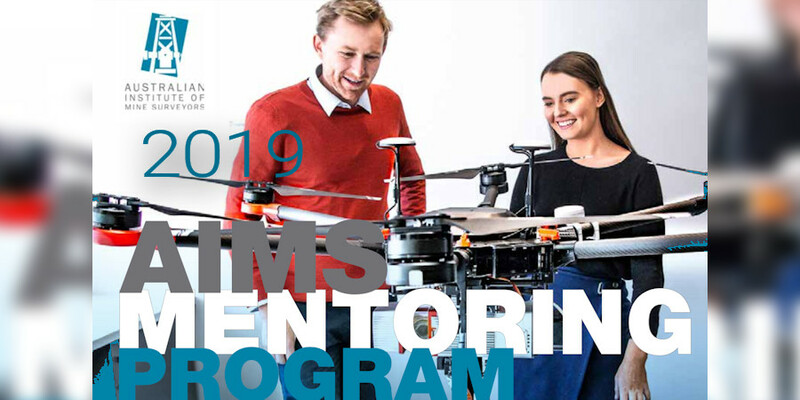 The AIMS Board will process your application promptly and you will be notified to confirm your membership or request further information if necessary. RETURNING MEMBER? WE WOULD BE PLEASED TO HAVE YOU BACK! Account profiles have been retained on our system since 2015. If you were an active AIMS member at any time since 2015 you may login and rejoin with a few clicks and enjoy immediate benefits. Please just click on the "My Membership" link at the top of the page, log-in with your previous username and password, and click on the My Membership tab to review your membership options. If you have lost your username or password you can retrieve these on the log-in screen (sent to the existing email address on record). LOST OR CHANGED EMAIL ADDRESS? If your email address in our system is no longer accessible (thereby stopping you from retrieving your username or password) then please contact our Membership Coordinator to request an update to your email address. If are a returning ex-member whose membership lapsed prior to 2015 your details are unlikely to be in our online membership system. Please just click on the "Become a Member" link to join and indicate you are a returning member in the "Supporting Documentation" section of the registration/application form. WAIT, WHAT? ... I AM TOTALLY CONFUSED ... WHAT DO I DO AGAIN? Just contact our friendly Membership Coordinator and scream for help. With full year membership fees only $5 for students, $120 for an affiliate and $220 for a full member, it is time to join! 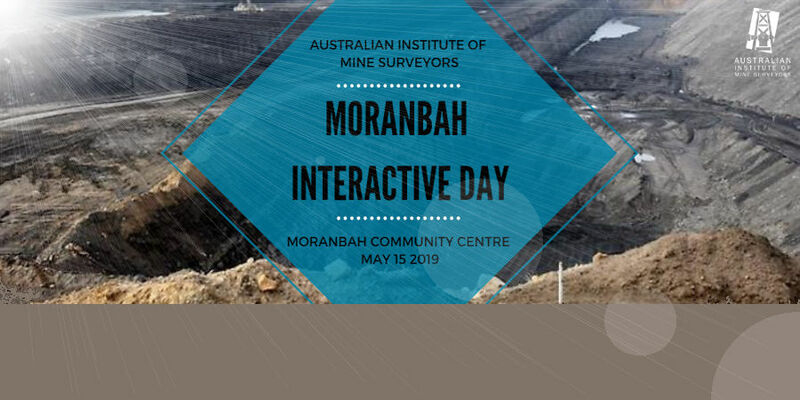 Support professional industry representation to government and other organisations, including BOSSI and Survey & Mapping Industry Council in NSW. 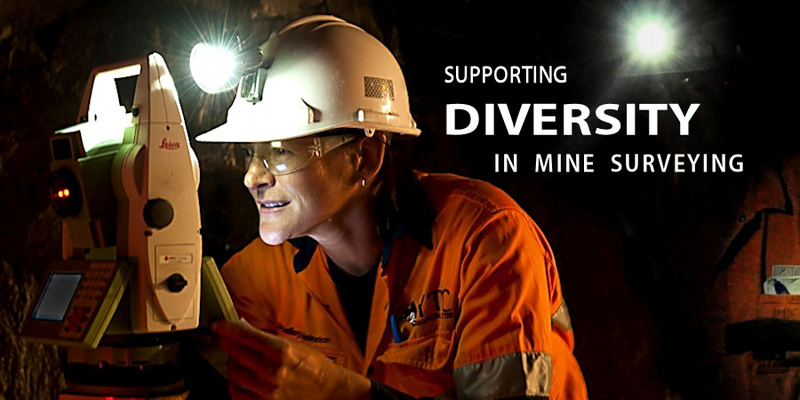 For more information about AIMS please browse around our site. Our secure online payment facility is provided by PayPal. You do NOT need to be a PayPal member to pay! All online payments are subject to the following Terms and Conditions of Use. Credit Card Payments for membership renewals, registration to AIMS Ltd events, website sponsorship, advertising etc is provided using the PayPal secure credit card payment system. By using this method for payments you must agree to the terms and conditions relating to the use of PayPal which are available on the PayPal website. A link to the PayPal payment gateway/website is provided on this website. No credit card information is collected directly through this website. User's are transferred to the Paypal servers for the secure payment, then returned to the AIMS web site upon completion or cancellation of thr transaction. It is not necessary to open a PayPal account to make a credit card payment, although it is recommended to speed up future payments. Credit/Debit Card payments can be made using either Mastercard or Visa card. Other payments options may also be available eg transfer from an existing PayPal account or direct bank transfer. 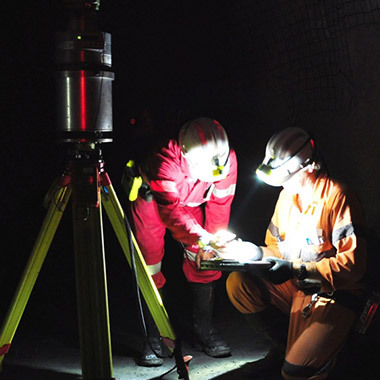 The Australian Institute of Mine Surveyors (AIMS Ltd) is not licensed to collect GST. It is the payer's responsibility to ensure they accurately input sufficient information to enable them to be correctly identified eg name, member number etc. Refunds for accidental overpayments will be made promptly once the overpayment has been confirmed. Refunds for cancelled registrations are subject to any cancellation fee charged - refer to the relevant event’s Registration Form for details. All refunds will made via BPAY or PayPal to the respective accounts in a timely manner. AIMS Ltd reserves the right to amend these Terms and Conditions at any time.